Within the specific confines of our local rock scene in N Ireland and the divisions within our society, I’ve always been a huge supporter of the idea of keeping religion and politics out of music. Given that, and that fact that I don’t consider myself to be religious, it might seem a little strange to find me posting an album recommendation for the latest release from Stryper; probably one of the most famous Christian rock bands ever and a band that have their beliefs very much to the fore in their music. Firstly, I have no issue with people celebrating their beliefs; only with those who try to force them on me - and if I choose to listen to something it is hardly being forced on me. Secondly, “Fallen”, which is released through Frontiers Records on 16th October, is a great album that includes some really excellent rock tracks. 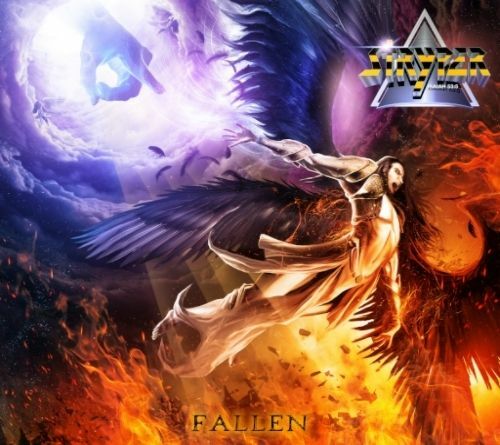 “Fallen” is the eleventh studio release from Stryper, following on from “Second Coming” and “No More Hell to Pay” which were released in 2013 after the band signed to Frontiers. They’ve now released more studio albums since they reformed in 2003 than they did prior to splitting in 1993; along with a number of albums or DVDs containing greatest hits or live recordings. Rather amazingly the Stryper line-up that releases “Fallen” in 2015 is the same that released their first EP “The Yellow and Black Attack” in 1984 and first album “Soldiers Under Command” back in 1985. That line-up features Michael Sweet on lead vocals and guitar, Oz Fox on guitar, Robert Sweet on drums and Tim Gaines on bass. The title track “Fallen” was featured on the Friday NI Rocks Show recently. The album also contains a great cover of the Black Sabbath track “After Forever”. Other favourites from the 12 tracks on the album would be “Yahweh”, “Pride”, “Big Screen Lies” and “The Calling”. The simple idea behind “NI Rocks Recommends” is to acknowledge and promote some of the great music being submitted to Rock Radio NI. I'll not be giving marks or ratings or analyzing the tracks in great detail; just telling you something about the artist and the album. It’s a personal recommendation, not a traditional “review”! My musical tastes cover most things rock; from the not too melodic to the not too heavy. The albums that I’ll be recommending are merely those that I would buy myself and which you’ll be hearing played on my shows on Rock Radio NI.